Our programs for children 18 months through and including Transitional Kindergarten, are designed to provide appropriate play experiences and thrills with a fresh approach to the developmental needs of preschool children. A variety of Half Day and Full day options are available to meet every family’s needs. 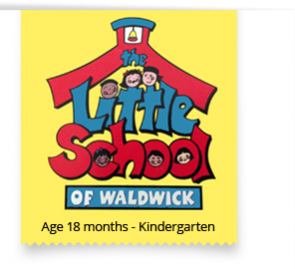 At the Little School of Waldwick children are encouraged to explore and discover while playing which fosters problem solving, language development, imagination, and coordination. Play is crucial to every child’s emotional, physical and social development. Playing and learning happen simultaneously for young children and cannot and should not be separated. Play experiences lay the foundation for successful academic learning. Play is the work of little children. Our teachers nurture each child as they gently encourage exploration in our exciting environment allowing them to explore and discover the world around them as they play and use language, math, science, art, movement, music, and their imagination.